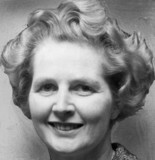 Margaret Thatcher, British politician, late 1970s. Margaret Thatcher, British politician, c 1960s. Margaret Thatcher, British politician, c 1980s. Margaret Thatcher and Nigel Lawson, British politicians, c 1980s.